The York Centre for Feminist Research was formally launched as a research centre in the spring of 1991. 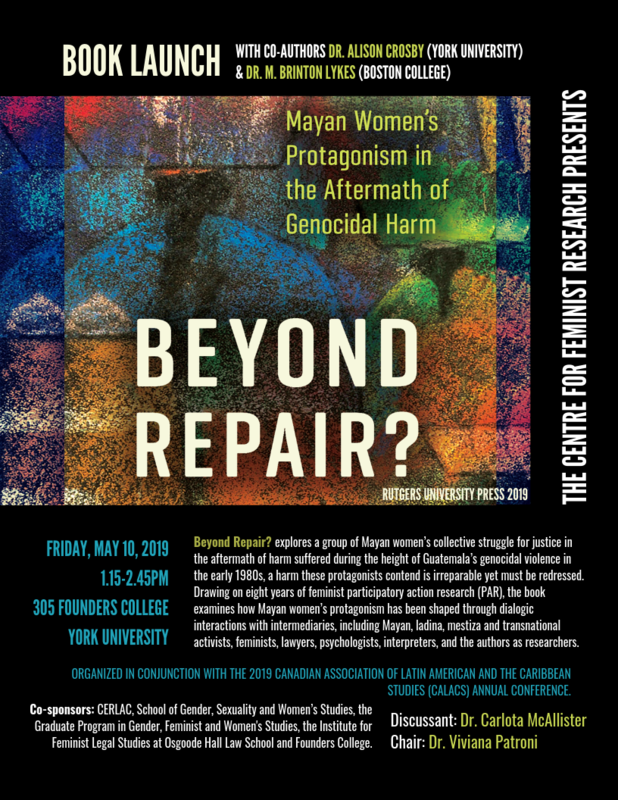 The Centre's mandate is to promote feminist activities and collaborative research at York University as well as to establish research linkages between York scholars and local, national and international communities. CFR organized a brochure and questionnaire and distributed it to York faculty. Nearly 100 women faculty associated themselves with the centre. A similar format was followed for graduate students. CFR worked with Women’s College Hospital to organize a panel on women’s health and lent its resources to the National Action Committee on the Status of Women for the production of its annual report card on government. An inaugural event was organized where Isobel Grundy and Patricia Clements spoke about collaborative feminist research.